Beautiful Märklin passenger set. The baggage wagon and blue coach are absolutely all original with nice early cast iron wheels and loop style couplers, placing them around 1898 - 1902. The red coach is slightly later, 1905ish, if I’m not mistaken. The red coach has had the couplers reattached with small nuts and bolts and has had its underside repainted after having buffers re-soldered. The red paint and the roof and the green paint of the frame is all original. This is a classic Märklin set and very early. Great colors and very well made. Please message me with any questions. I’m tca member 00-52260 and will do my best to make sure you’re happy with your purchase. International buyers are welcome. Shipping to most of Europe will be around $40. Br 98 GLASKASTEN. Prototype: Br 98 GLASKASTEN STAEM LOCOMOTIVE. Scale 1 Marklin (Märklin). Can be used indoor as well as in the Garden(Outdoor). Hard to find and very hard to find in new condition. FREE Trial! Consisting of a 1-gauge maroon locomotive, #5000 tender and two glossy dark blue 1-gauge 3rd class passenger coaches. Circa 1920's Bavaria. Condition: Excellent condition. Scale 1 Marklin (Märklin). MARKLIN Scale 1. Dinkel-Acker Beer Car. Model: Opening doors. Minimum radius 600 mm. Length over the buffers 35 cm. For ASTER, live steam etc. scale gauge I. Solid Brass Box Car. Model: Brass construction, operational doors, no couplers. weighs in at a heavy 4 lbs. MARKLIN/MAXI 1 GAUGE 54702. And this is a very reasonable fee to ensure your item arrives safe and sound and intact! LIKE NEW CONDITION WITH ORIGINAL BOX. BOX SHOWS SHELF WEAR. Condition: Excellent condition, most of the wear is shown on the roofs, those can easily be repainted, overall, showing very minor wear, nice crisp detailing, door knobs present, goes well with a Marklin 1-gauge locomotive. MARKLIN 1 GAUGE 5437. FREIGHT CAR WITH WOODEN CONTAINER. BATTERY NOT INCLUDED FOR RADIO. And this is a very reasonable fee to ensure your item arrives safe and sound and intact! LIKE NEW CONDITION WITH ORIGINAL BOX. MARKLIN / MAXI 1 GAUGE 54771. AHOJ-BRAUSE REEFER CAR. And this is a very reasonable fee to ensure your item arrives safe and sound and intact! LIKE NEW CONDITION WITH ORIGINAL BOX. BOX SHOWN MINOR SHELF WEAR. Circa 1920's fully functional. Condition: Excellent condition. Built-in Märklin Digital locomotive database. Automatic shuttle train or push/pull train operation for up to 8 locomotives or powered rail cars. Original box has plenty of wear and tape. MARKLIN / MAXI 1 GAUGE 54832. TIN SWISS SBB-CFF. And this is a very reasonable fee to ensure your item arrives safe and sound and intact! COVERED GOODS FREIGHT CAR. LIKE NEW CONDITION WITH ORIGINAL BOX. PHOTOS OF THE ACTUAL ITEM(S) FOR SALE. Do you have a collection you wish sale?. Combining Orders. READ BELOW FOR INFORMATION ON HOW TO COMBINE ORDERS! Model Trains. This is a Marklin 58385 1 Scale DB Stake Car Type R with Logs. The frame and car body are made of high quality plastic with numerous separately applied parts. The car is extensively imprinted with repaired areas and weathered. The car has a new car number. The load insert is made of real wood. Minimum radius for operation 1,020 mm / 40-3/16. Length over the buffers 37.5 cm / 14-3/4. Manufacturer: Marklin. Model Number: 58385. MSRP: 259.99. Scale/Era: Other Scales. Model Type: Freight Cars. Availability: Ships in 2 Business Days!. LGB 40024 "Leistritz" Museum Car for 2016 with removable load;. This is a DB type Res four-axle gondola, Era IV. Leistritz Nürnberg. The freight load is made of real wood, removable. Length over the buffers 42 cm / 16-1/2". Made in Germany early 20th century. MARKLIN 1 GAUGE 5870. And this is a very reasonable fee to ensure your item arrives safe and sound and intact! LIKE NEW CONDITION WITH ORIGINAL BOX. BOX SHOWN MINOR SHELF WEAR. 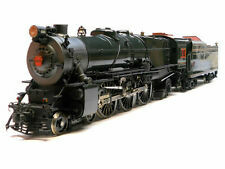 5344 SCALE HUDSON - 2 RAIL - THAT RUNS WITH DC CURRENT (NOT LIVE STEAM). THIS IS A UNIQUE AND VERY RARE ASTER SCALE NEW YORK CENTRAL. A VERY UNIQUE FIND AND YOU JUST NEVER SEE THIS PIECE FOR SALE. NEW IN THE WOODEN BOX IN THE MASTER. 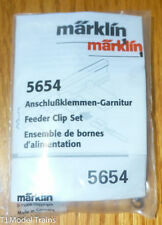 This is a Marklin, Inc 59093 I Scale Double Slip Switch Center Part 15 Degree Curve, 1,394mm 54-7/8 Radius. Manufacturer: Marklin. Model Number: 59093. MSRP: 199.99. Scale/Era: Other Scales. Model Type: Track/Switches/Etc.. Availability: Ships in 2 Business Days!. 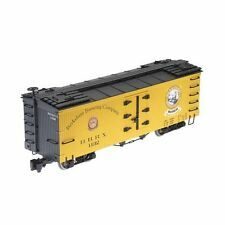 Marklin 1 Gauge Work Car Gondola Freight Car Wagon. VINTAGE EARLY PRE-WAR BING 1-GAUGE #4123 HALF GONDOLA. Condition: Excellent condition, showing minor wear considering the age of the gondola, great addition for anyone looking to add to an early BING train collection. Circa 1920's Germany, fully functional made in Bavaria. Condition: Excellent condition. 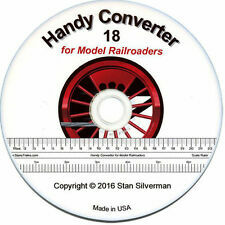 Showing minor wear relative to its age, overall nice addition to anyone collecting 1-gauge locomotives. Functional when tested, missing original key. Gauge 1 58021. Scale 1 Marklin Gauge 1:32 (Märklin). Model: Four-axle passenger car, 2nd class, with built-in interior lighting. The interior lighting is ready for installation of a 60960 function decoder. "ASPACH" GLASS BOTTLE FREIGHT CAR. MARKLIN 1 GAUGE 58271. And this is a very reasonable fee to ensure your item arrives safe and sound and intact! LIKE NEW CONDITION WITH ORIGINAL BOX. BOX SHOWN MINOR SHELF WEAR. Made in Bavaria in 1920's perfect for 1-gauge Marklin train sets. Circa 1920's made in Bavaria. Appears to be hand painted. Condition: Excellent condition. Overall nice car for any Bing collector. Circa 1905-1910. Made in Bavaria.